This is SLT 4G WIFI Router special bulk promotion for limited time period. Now you can get SLT 4G WIFI Router for Rs.999.00 connection fee. This SLT 4G packages provide Download Speed 4 Mbps, Upload Speed 1 Mbps with SLT Life Time Warranty. 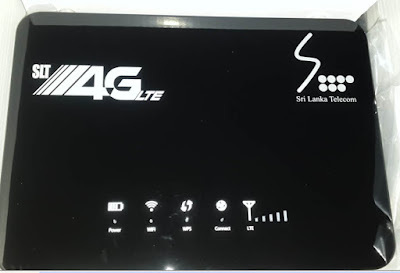 To buy this SLT 4G WIFI Router doesn't need land line, no money deposits and quick SLT 4G activation (within 24 hours) available. Let me know how can I buy this router with package ? can we use this router sim to 4g smartphone? I forgot my wifi password how can i reset it?